Bill Takerei is a Trustee of the Otara Network Action Committee and currently the CE of Te Waipuna Puawai. Bill has worked in the health, social services and education sector and has over 25 years’ experience as a Senior Manager/CEO in managing non-government organisations. Bill has a strong passion and connection with Otara with its reputation for being an innovative community with a multi-cultural population and believes Sistema Aotearoa ki Otara is a great example of what can be achieved in working together with a community to develop its young people and families to provide access to opportunities and gain success never seen before. William, who is Niuean is the Youth Advisor to the Sistema Aotearoa Trust. Will has been involved with the programme for 7 years, (with breaks for study abroad) as a violin tutor, composer / arranger and community liaison. Born and raised in the heart of Otara Will’s input ensures that the needs of the programmes’ young participants are considered across all parameters. Will provides input into strategic/ operational planning processes and facilitates the student advisory group and our networks with other cultural youth groups in the region. William is now a full-time teacher at Fergusson Intermediate School (attended by a number of our students) and also leads the award winning Otara Pacific Island Church choir. With a strong commitment to community empowerment and social change, Diane is passionate about encouraging and supporting innovative programmes that make a difference to young people’s lives. 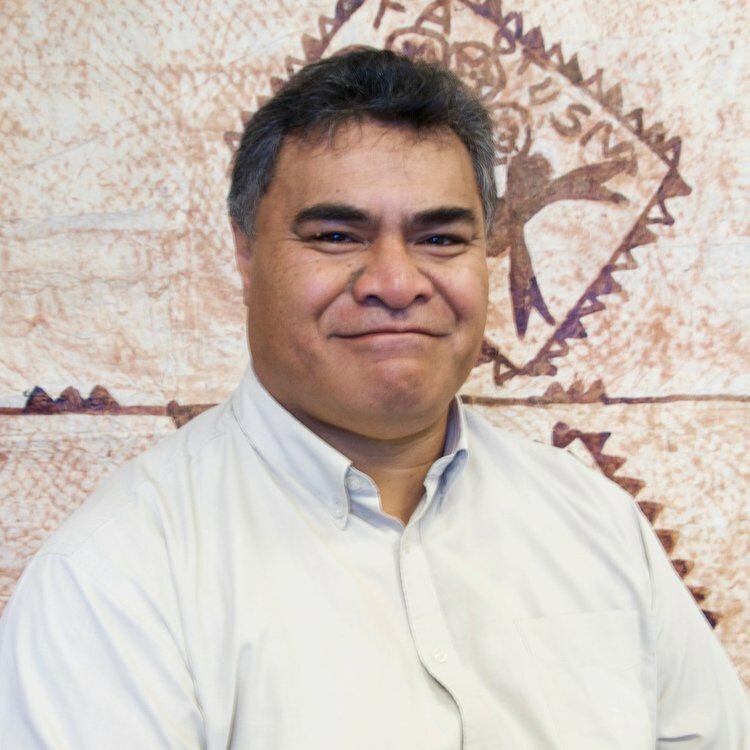 Walter is deeply committed to social change and leadership empowerment through education and apart from his role as Executive Director of AUT South, he also serves on the boards of a number of South Auckland community-based organisations. Of Ngapuhi descent, parent representative Wayne is a long standing member of,and active volunteer in, his local Otara community. Trustee (Parent Representative) Wayne Wiperi with daughter, Sistema student Waina. Alan Lyth, who is the principal of Bairds Mainfreight Primary School, one of the programmes seven partner schools, brings to the Trust many years of experience in the education sector. Doctor and Businessman, Cam Calder served two terms as an MP. John has been a principal for over 25 years and is currently the principal of Sir Edmund Hillary Collegiate Junior School. In 2017 John undertook sabbatical study of Sistema programmes in the UK. Serving on the board of Sistema Aotearoa combines Raewyn’s passions for education and giving every child the opportunity to participate in music and the arts. Sistema Aotearoa has positive partnership with the APO that provides the young people with unique, inspirational opportunities and the programme with high level support. There is a close musical working relationship with the orchestra players and students. A number of the tutors are also APO casual players and APO musicians often visit to perform or mentor students. This relationship with the APO provides numerous opportunities which bring the world of a professional musician to life for the children. Students/whanau are supported to attend mainstream concerts extending their experience of classical music, performance opportunities are provided including advance students playing ‘side by side’ in the orchestra and meeting international artists. The APO provides infrastructure support with a Services Agreement between the organisations that ensures a high standard of programme operation. For more information on the APO visit their website here. Sistema Aotearoa is based at Otara Music Arts Centre (renting space at this council facility) located within the heart of the Otara township. The programme operates there five nights a week 2.30-6pm in term time and full days in school holidays. OMAC is a music based community venue with performance spaces, sound lab and a recording studio that is open to community groups, choirs, schools, bands and individual musicians. As their major user for the past 5 years Sistema Aotearoa enjoys being part of the friendly and creative environment at the centre. 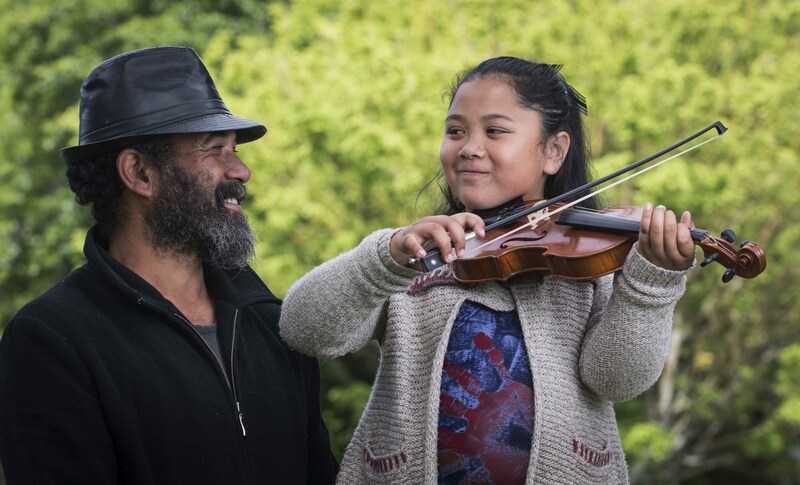 OMAC hosts both local and international music talent from many performing genres (eg hip-hop, bands, Polynesian and Maori music) and Sistema Aotearoa is included in their concerts and events broadening the young peoples’ musical experiences. Associated with OMAC is a large open air performance stage in the Otara town centre where Sistema Aotearoa holds weekly ‘drop-in’ community pre-school music sessions and regular community concerts. Sistema Aotearoa is a vibrant and integrated part of the primary schools contributing students to the programme. (Rongomai , Sir Edmund Hillary Collegiate, Bairds Mainfreight, East Tamaki, Te Kura Kaupapa o Piripono , Wymondley Road, St John’s the Evangelist) Some teaching for junior levels takes place in the schools, with schools providing space and support for the programme. There is a close working relationship between the programme and schools, working together to enhance the student’s learning, participating in school events such as prizegivings, providing concert outings, disseminating information etc. Teaching staff also enjoy learning new skills alongside their students. Sistema Aotearoa enriches the music component at schools providing opportunities that would not otherwise exist expanding the learning environment.